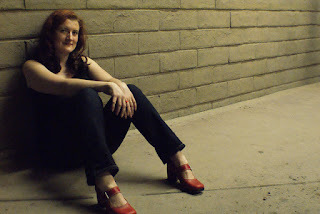 Today I am thrilled to welcome Cassie Alexander to The Nocturnal Library. 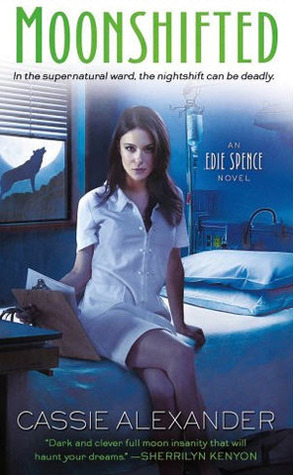 I really enjoyed both Nightshifted and Moonshifted, the first two books in an urban fantasy series about Edie Spence, a nurse on Y4, a ward for paranormal patients. 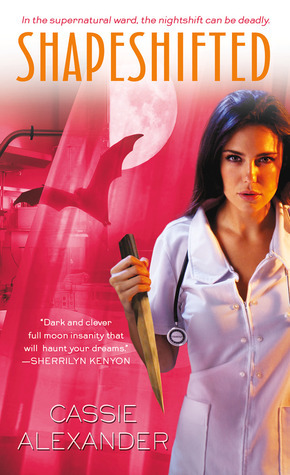 Cassie herself is a registered nurse and she uses her experience to make her character come alive. Today she's here to talk to us about Hurricane Sandy and how she decided to step up and make a difference when those who were affected needed it the most. 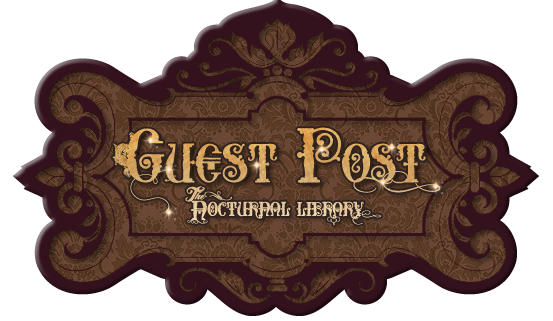 She also kindly offered to send signed and personalized copies of Nightshifted and Moonshifted to one lucky winner, and she decided to make it international, so make sure to enter the Rafflecopter when you finish reading. Like most of the US I watched in horror when Hurricane Sandy made landfall. I’m not a news junkie by nature, but with the presidential election nearing the news was always on at the gym, so the destruction was hard to miss. My nursing school alumni board put a notice up that the Red Cross needed registered nurses very badly and by Thursday night I was signed up. I went to an orientation class that night, and then one on Saturday and by the following Wednesday – less than a week later -- I was on a plane. I spent much of the intervening time being freaked out by how fast things were moving, and wondering if I’d made the right choice. My chapter lead was very sure that we’d go, so I raced from Ross to Marshalls (cheap clothing stores, for non-US readers) trying to get clothing for a real winter and waterproof boots, and a money belt, wildly preparing to be sent somewhere – where, they didn’t know. No one could tell us what to pack, because no one knew where we were going. It made the situation crazily stressful. I cried some one night, scared about what I’d signed myself up for – and my husband admitted that he’d cried some in the shower, worried about me too. After one and a half days of classes I had no real grasp on what I’d be doing other than “nursing stuff” and helping people. But not knowing where or when or to who made it hard to stay sane. The only thing that kept me focused on going was the fact that our two class instructors both teared up on different occasions, remembering times they made a difference while they’d been deployed last year, running shelters for wildfire evacuees. I didn’t know for sure what I was getting into, but their honest emotions made me want to be a part of it. In retrospect, the lack of preparation makes sense. They can’t possibly prepare you for how it’s going to be, so it’s almost better not to try. You get to the shelter, you sink or you swim. You either like working harder than you’ve ever worked before, for people who desperately need help even as they might belligerently hate you for providing it, can tolerate sleeping on cots, deal with freezing temperatures, questionable portapotties, and find endless paperwork meditative…or you don’t. If you can’t swim, then it’s an endless two weeks of torture. If you can, then you find out that your well of compassion for the rest of humanity runs thirty times deeper than you ever thought it did. They wound up sending me and five new stranger-friends to the Monmouth Park Shelter in New Jersey. The state of New Jersey built a tent city to house all the linemen they would need to bring back power, and they’d donated several tents for the shelterees. We spent our first night in the shelter with the clients, on cots with impossibly huge blowers pushing hot air in, and then I tried (somehow) to sleep in during the day so I could stay up and work at night. We were running health clinics for people displaced by the storm or the subsequent power outages and lack of heat – checking blood sugars, blood pressures, handing out Robitussin for the people who, over the course of changing three shelters already, had developed colds and coughs. After that we moved into the Monmouth Park Raceway structure itself, which was a step up, with its four real walls and indoor plumbing. Many (most?) of the people affected by the storm had other avenues to pursue – friends, family, neighbors. Our shelter was full of the people most affected by the storm, the homeless and helpless, elderly people who had no one left, young families with little local back-up. Many of them are, due to mental health problems or societal abandonment, needy. So so needy. And who can blame them? Everything they own – and even homeless people own some things – is gone. Gone gone gone. They start to stockpile the free clothes that donors provide them, stacking black trashbags full of them around their cots, looking like hoarders short a few dead cats, but can you blame them? That’s all they’ve got now, all they own. The first few days and nights were wild. They’d been going without health care for days, getting sicker, blood pressures and blood sugars rising, their untreated chronic conditions and mental health issues raging through their bodies like the second wave of the storm. People start crying when they realize you’re going to help them to get their prescription meds for free – they were waiting so long because they were too scared and proud to ask. It broke your heart into so many pieces you wonder how you’ll ever put it back together again. But slowly things got brighter. We were lucky to have it happen while we were there. The logjam of bureaucracy started to break up and people started getting the money they needed to stand on their own feet again. Instead of people coming into the shelter, we had fewer and fewer each day. I got to give my extra clothing that I wouldn’t get the chance to wear again in California to a client, and it was awesome to know that they were going to get to leave soon. It was just watching the TV while Sandy hit I knew that I didn’t want to be the person who sat idly by if there was some way I could help, even if helping was scary. And it wound up being the best thing I’ve ever done with myself. Please visit Cassie's web page and make sure to follow her Twitter account as well. Her tweets after a looong night shift are always especially fun. Nobody in my immediate family was affected by Hurricane Sandy which is surprising in itself since we live along the eastern coast line. Cassie's determination to help Hurricane Sandy's victims is so inspiring! I can't imagine how grueling it must have been. Thank you for sharing an eye-opening experience. Wow, a huge kudos to Cassie for volunteering to help so quickly with Sandy, I can't even imagine being right in the middle of the relief efforts. It would be very scary, but I would think incredibly rewarding as well to know you've made a difference, large or small:) Thanks for sharing this post Cassie and Maja! Wow, thanks for sharing about your experience, Cassie! I think most of us have no idea how stressful this can be for relief workers as well as those affected by the Hurricane. I had no personal experience with Hurricane Sandy, but one of my friends goes to school in NY. Thankfully, her apartment building was relatively unharmed, just some flooding. This was an absolutely gut-wrenching post. Thank you so much for being the generous, dedicated person that you are! Your books sound fantastic... but I'm more awed by your character. I remember being incredibly impressed the last time you had Cassie post. 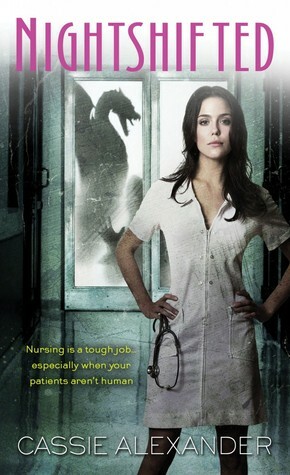 Being a nurse is a tough job and often thankless not to mention the long hours and tough work. Thanks Cassie for giving yourself and time to those in need during such a difficult time. People like you are just awesome. I definitely need to read these series and have Cassie on my blog, she writes such inspiring posts! Thanks for sharing ladies! It's inspiring to hear there are people like Cassie out there! It sounds like a difficult job, but such an amazing thing to do. I always feel terrible when finding out about natural disasters on the other side of the world, knowing people are having a tough time when I'm safe. Anyway, thanks for sharing this! This is just amazing. Every time there's a disaster I watch the news and wish there was some way I could help. I don't have any sort of experience for these situations but as a teen I was determined to join the Peace Corps so I could travel and help people. Very inspiring post! Thanks for sharing! Wow this is such a brilliant post Cassie, it's so different the perspective that you are given from watching the news and actually being there first hand, even though I would love to help people in a situation like this I don't know if I would be able to. I'm one of those feeble people that cry at everything, so probably wouldn't be a great help sobbing around people who are already worried and stressed. But well done Cassie for flying out and making the extra difference! Thank you Cassie and Maja for sharing this beautiful post with us! This was a fantastic guest post, having lived through a few hurricanes, it is interesting to see a look at the skilled volunteers and what they went through. Beautiful post. I loved that post. Living in the UK we don't get many hurricanes at all so I don't have any experiences to share. Oh wow, what a beautiful guest post. I'm so glad you were brave enough to go help. Any little bit is wonderful. I don't know anyone personally that was greatly affected. A friend of mine is in Brooklyn, but thankfullly her neighborhood was alright.